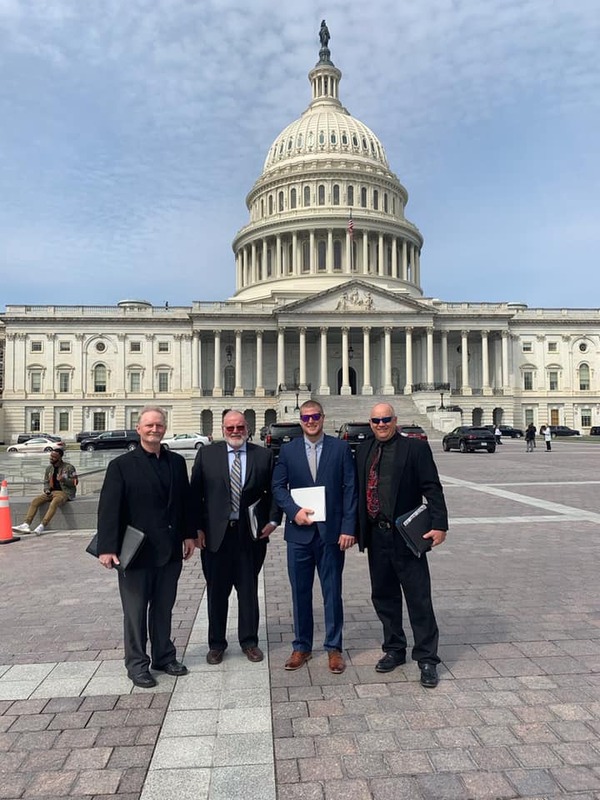 April 8, 2019, Hemphill, TX— The American Loggers Council (ALC), the national association of professional timber harvesters, organized its annual fly-in April 4-6 to connect loggers to key decision makers in Congress and the Trump Administration. 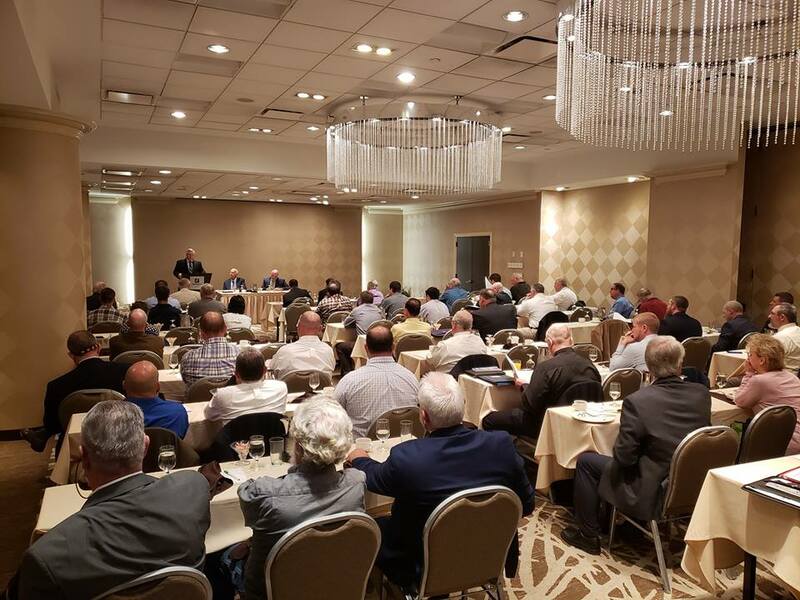 The event enjoyed record participation as loggers from across the nation convened in Washington DC. ALC’s membership, made up of state logging associations and individual loggers, returned to Washington DC at a time of divided government. 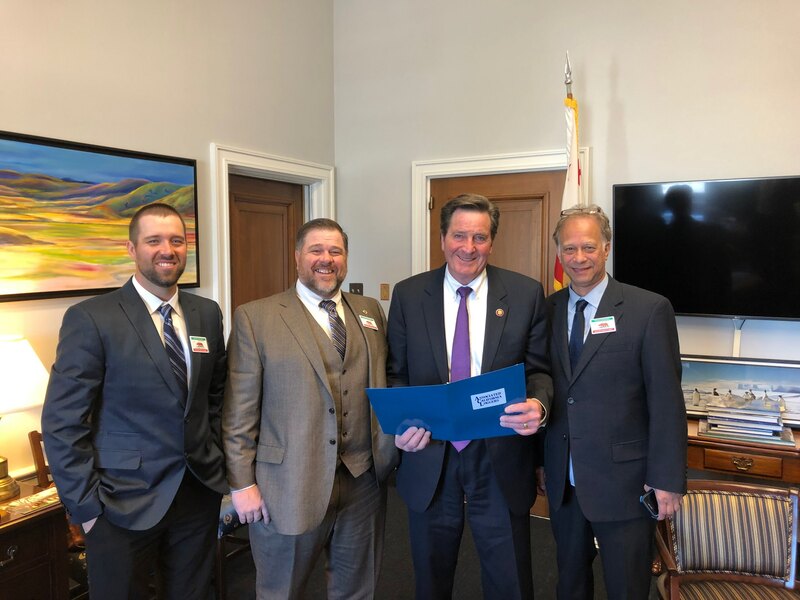 Recognizing the capital’s polarized political environment, loggers reached out to both Republican and Democratic lawmakers on Capitol Hill to advocate for an industry primarily composed of small, family-owned businesses. 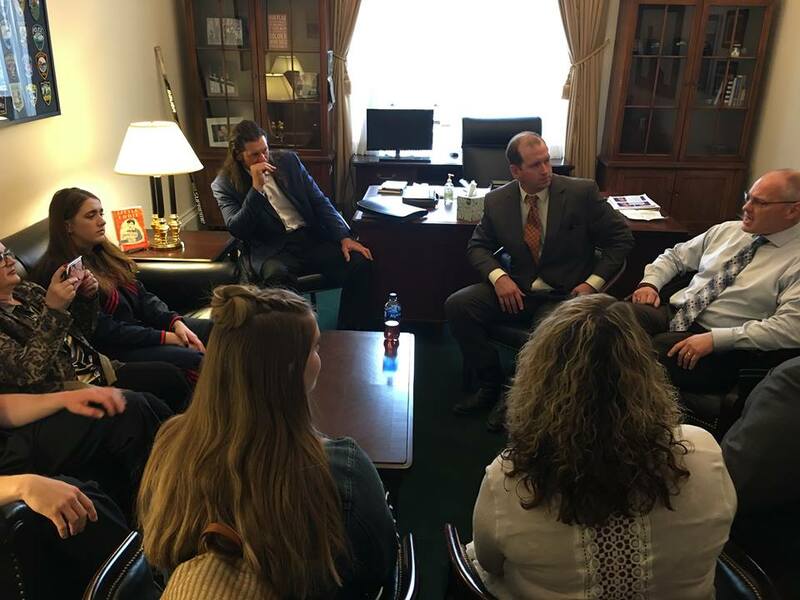 To help recruit the next generation of loggers, ALC members advocated for the bipartisan “Future Logging Careers Act” (HR 1785 and S. 818) to extend an existing agricultural exemption allowing 16- and 17-year-olds in family logging businesses to work in mechanized logging operations under parental supervision. ALC is also committed to improving the safety of loggers and log truck drivers. That’s why members advocated for the “Safe Routes Act,” soon to be introduced with bipartisan support, to allow more log trucks to utilize federal interstates for short-haul trips, as a safe alternative to state, county and local roads. Because many communities continue to suffer from catastrophic wildfires and smoke, loggers also advocated for better management of federally-owned forests. In recent years Congress has provided the U.S. Forest Service and the Bureau of Land Management new tools and resources to treat fire-prone landscapes at a faster pace. In addition, President Donald Trump last December signed an Executive Order prioritizing forest management activities- including logging- to reduce excess fuels. The American Loggers Council is working to assure these new tools and resources are fully utilized to decrease the size and intensity of wildfires. “We urge members of Congress to fund the Forest Service and BLM with the adequate dollars necessary to ensure implementation of all authorities while at the same time request a quarterly progress report that will detail the number of projects implemented, the number of acres treated, and the type of project and what authorities were utilized in its implementation,” Dructor said. Increasing the pace and scale of forest management activities on federal lands also requires stable markets for wood fiber, especially for low-value materials that can’t be used for lumber. ALC believes the United States has an important opportunity to promote the conversion of woody biomass into renewable energy, which would support forest restoration on federal lands while protecting families who own small woodlands. Wood utilization can help reduce greenhouse gases and help governments at all levels meet climate goals. The ALC fly-in concluded with its Board of Directors meeting, where members discussed developments on Capitol Hill and the progress that’s being made on the loggers’ legislative priorities. 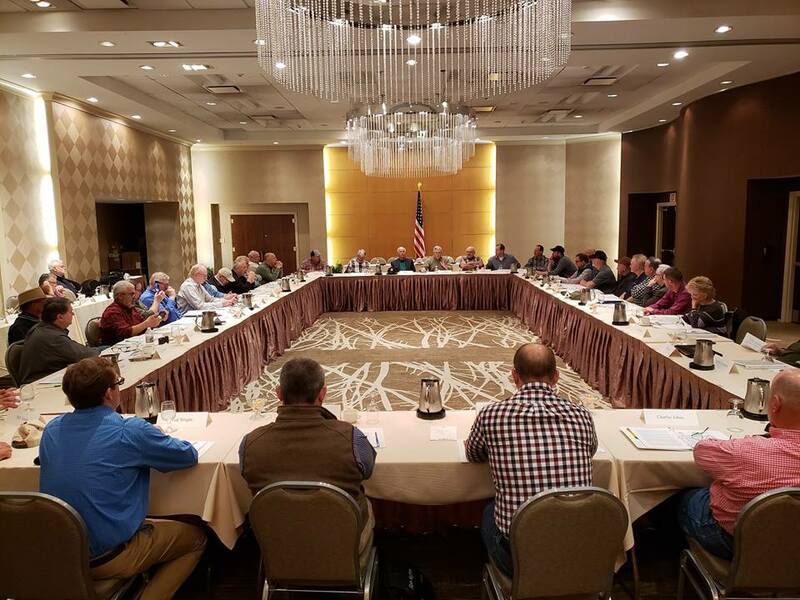 The board also voted to approve the Ohio Logging Standards Council as its newest voting member, bringing the total number of states being represented by ALC to 36.